Defend Yourself Against Multiple Opponents! New Ghost Hands Self Defence Course Starting April 2019. Enrol on one of our of non-flashy. Effective self-defence courses. Learn techniques used and trusted by Shaolin Masters. Now being implemented in the 21st century. Self-defence courses are important. Also bear in mind that this means empty hand! Self-defence by using your body. Don’t get me wrong there are times when this rule might change and again knowing when this applies is quite important! I would also like to state that we all have a self-defence element built into us! Self-defence courses enhances those elements. Now if you were to think about any time from the past. When you have felt afraid. Under threat or very uncomfortable. Your body would have responded with a rush of adrenaline. Most people relate to this feeling as butterflies! At this point your choices are usually flight or fight! If you choose to run then so be it. You make a dash for the hills. But if its fight, you never consider how you’re going to fight. You just know you’re going to do it!! Wouldn’t it be good to have an idea of how. And more importantly where?? Our courses point the way! Our self-defence courses focuses on pressure point locations. And the effects when a pressure point is struck. All students taking the class will be fully aware of how easy it is to incapacitate an attacker. Each of our self defence courses will also make the student aware of their responsibilities in any confrontation. Our self-defense courses keep you Informed! 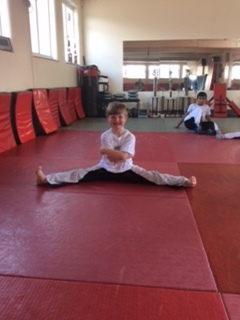 Our self-defence courses are all based on applying the right technique to achieve an end result. Which means that the small and weaker even older person, could easily defend themselves with the right knowledge! There will be 2 Ghost Hands courses run each year. 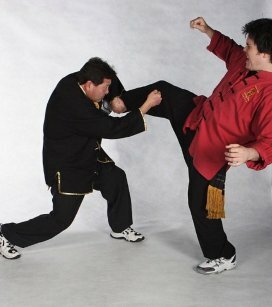 With the aim of educating students in all aspects of Dimmak and pressure point fighting. For your chance to be among this elite group get in touch! Our self-defence courses vary in price depending on the duration of the course. You will be notified in advance of any changes to the material, cost or change to any dates. So to be in with a chance of getting on our next course. Give us a call or email us now! “New course starting April 7th 2019”. Dai sifu Pier Tsui-Po demonstrates with student. 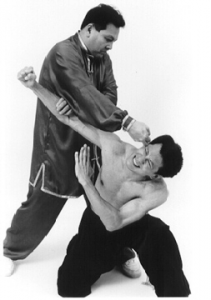 Information on self defence, personal safety, defensive weapons, martial arts, survival. Learn how to protect yourself from crime.